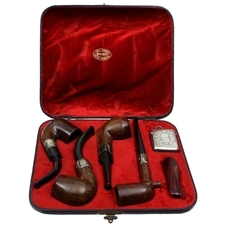 This antique, four-pipe set from Barling is an historical artifact from the Boer War. 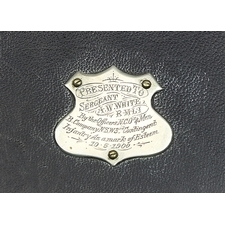 Although originally produced back in 1898, the set was presented by an Australian Infantry Company to a Royal Marine during the Boer War on May 10, 1900 — a date noted on the silver badge located along the top of its vintage case. 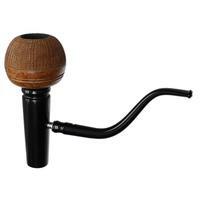 The pipes themselves are among the best examples of early Barling Briars that we've encountered here at Smokingpipes. 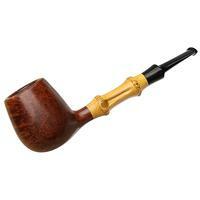 It's rare enough to find a single pipe of such age that's still intact, and a full set of them, every pipe complete and present, really is something else. 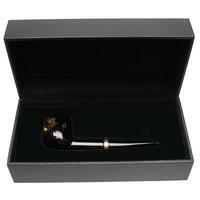 The set includes two bent Billiards, the first of which is distinguished by its tall, cylindrical bowl and deep bend. 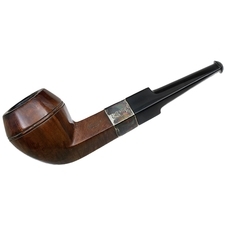 This first pipe's shape in some respects is similar to the Hungarian, which was, incidentally, favored by the President of the South African Republic, Paul Kruger, and which posterity would thus remember as the Oom Paul. 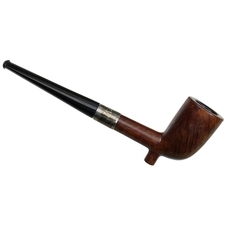 It should be noted that although this general shape type takes its now most common name from the Boer leader, it was also very well represented among troops from the British Empire, both in the pipes purchased for them and in the pipes they carved and decorated for themselves as prisoners of war. 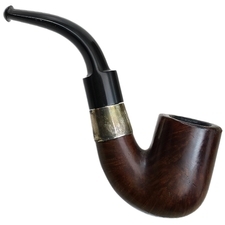 The second bent Billiard is a variant of the English classic. 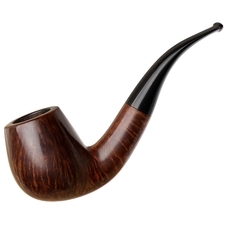 The bowl is rounder and softer; the bend a bit less pronounced. 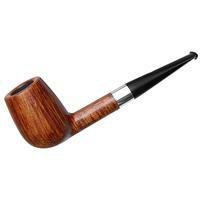 Like the other pipes in the set, this bent Billiard reflects many of the pipe-making conventions of late-19th-century English briar pipes. 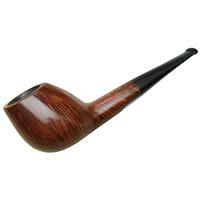 The vulcanite stems are considerably meatier than what is found on more modern pipes. The buttons are likewise round, and rather than slots, we find a simple circular airway. 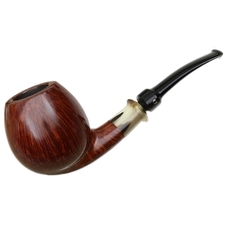 The third briar is a straight Bulldog, a substantial pipe yet elegant in its lines. The piece is well-proportioned and nicely balanced. 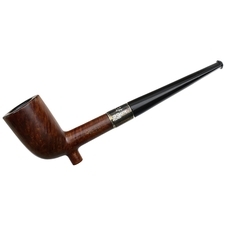 The gentle cant of the bowl and tapered waist lends the pipe a sense of refinement and suggests some inspiration from old French pipe designs. 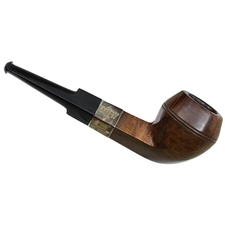 The final pipe in the set is a Cutty — one of the earliest and most traditional of pipe shapes, but not one that we've seen very often from Barling. Here, it is rendered in a particularly reserved fashion. 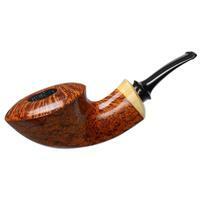 The bowl is less canted than we find in both earlier clay and later briar renditions, and the foot is quite pronounced. 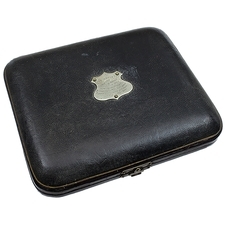 In addition to the pipes, the case contains a cheroot holder and a match case, known as a Vesta, which was produced by W.H. Leather for Barling. 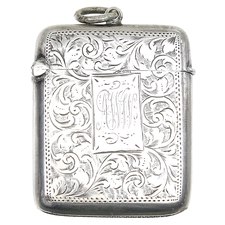 If you'd like to know more about this antique four-pipe set, you can find further information, as well as a video — wherein Sykes and I discuss the historical significance of the piece — over on the blog. 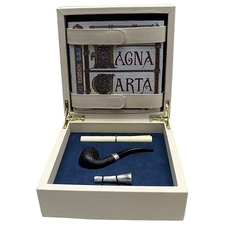 Note: Due to the historical significance of this set we have elected not to clean these pipes as we would other estate pipes in order to preserve their antique condition. A light cleaning is available upon the buyer's request. 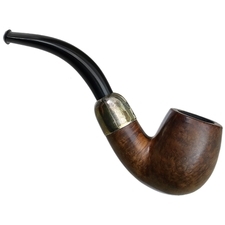 Bent Billiard: Weight: 1.34 oz., Length: 5.24 in., Bowl Diameter: 0.81 in., Bowl Depth: 1.43 in., Pipe Diameter: 1.50 in., Pipe Height: 1.84 in. 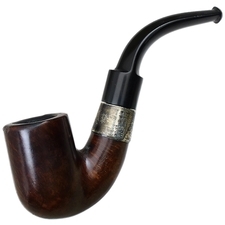 Bulldog: Weight: 1.44 oz., Length: 5.35 in., Bowl Diameter: 0.81 in., Bowl Depth: 1.47 in., Pipe Diameter: 1.57 in., Pipe Height: 1.87 in. 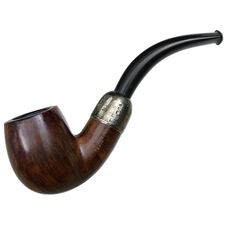 Cutty: Weight: 1.12 oz., Length: 6.45 in., Bowl Diameter: 0.75 in., Bowl Depth: 1.59 in., Pipe Diameter: 1.20 in., Pipe Height: 1.81 in.